All our concrete planters come with a cork base to protect your furniture from scratches. We call them cork bottoms. Just released these cork-bottom designs for our new concrete round concrete planters. And we are thrilled! After some big life changes in our team we are back in business with our shelves restocked! Thanks for all your support through this phase. Check out our shop and don't forget to follow us on Instagram, Facebook, and Pinterest. Here's an image to give you an idea of Nystrom planter sizes. Combining regular size and mini planters looks great together on a desk. And succulents or cacti are super-easy to take care of: only water every 3 to 4 weeks and then ignore. That's my kind of plant! This month, Nystrom teamed up with Idahogram to showcase beautiful Idaho! We asked Instagrammers to share with us their images with the theme “Idaho Structures” and we had some great entries. Check out #nystromgoodsidahogram on Instagram to see gorgeous photos from the State of Idaho. Here are our first and second place winners and some honorable mentions. Thank you to everyone that participated! Congratulations Maureen H. from Long Island City, NY! 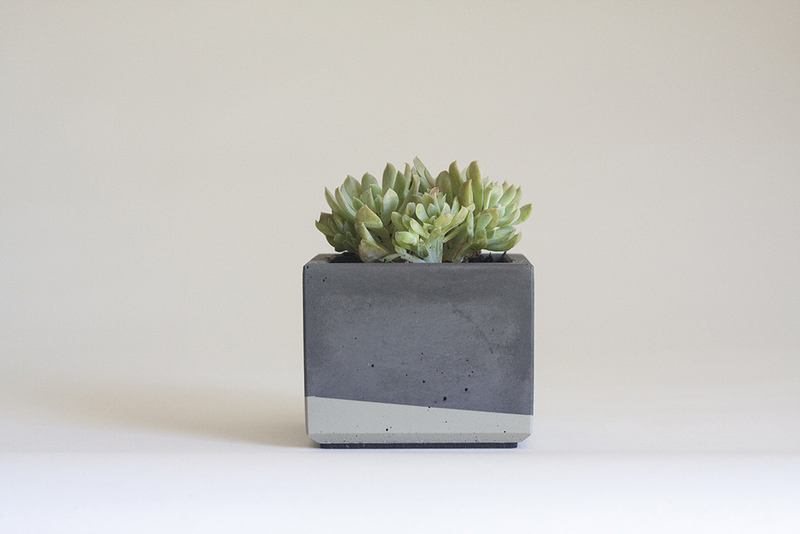 She has won the new Concrete Succulent Planter, Triangle Pattern, Charcoal grey. We had a great response from NystromGoods fans on Etsy. Thank you to everyone that participated, and keep following us on Instagram, Pinterest, and Facebook for more contests and deals from Nystrom Goods! We have been experimenting with cork for a few months now, and have developed this sturdy, hand-finished solid cork storage plate, 10 inches in diameter. The plate has a great natural look with a matte finish for durability. You can use it as centerpiece, on night stand, entrance foyer or desk for TV remotes, wallet, jewelry, keys, change or office supplies. It makes a great Christmas gift! *Free shipping offer ends Wednesday Nov 12, 2014, 5:00PM. Thanks for all your orders from the mini planter sale. Here we are getting ready to demould some more! Handmade means it's a one-by-one process. Orders will be out soon! You can use Nystrom planters for more than plants. Check out these cute rustic color pencils in the white mini concrete planter. Thanks @bridgettehall for this one! Yesterday we had our first, one-day Nystrom Goods contest on Instagram. All you had to do was follow us, re-post this image, and tag @nystromgoods to enter. Congratulations to @haydenha, who won a free Mini Concrete Planter! Get your order in ASAP! Mini concrete planters now available. About the size of an iPhone5. 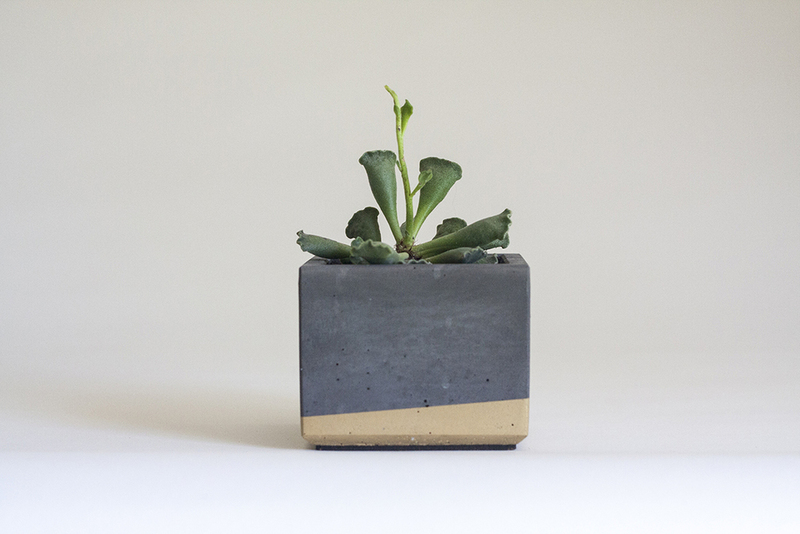 Mini concrete planters fit in the palm of your hand. Left: Cork bases of our concrete planters help protect furniture from scratches. Right: Hole at the bottom of our wood planters allows you to remove the stainless steel insert to water your plant without getting water on the wood. Here are some behind-the-scene images from the Nystrom workshop. Mostly concrete and wood... and we have some exciting new projects coming soon. How big are Nystrom Planters? Well, here's something to give you an idea. Clockwise, from left to right: 15-inch MacBook Pro, Mini Concrete Planter, Small Concrete Planter, Windowsill Concrete Planter, Tapered Wood Planter, mechanical pencil, Sunset magazine. Came across this great video that conveys Ira Glass’s message “The Gap”. Anyone creatively pursuing something can relate. Here's the latest from Nystrom Goods. The mini concrete planter is just 3" by 3" and 2 1/4" tall... so tiny it fits in the palm of your hand. Our new solid wood planters come in ash and walnut. Stainless steel insert and hole in the bottom of the planter enables you to push insert up for easy watering. Furniture grade finish. Solid wood or with painted stripe in three colors. See them all here!